Kitty Garrett Brown ran For Pets Sake, a shelter in Bozeman, Montana. She came across an unusual cat, later called Curly-Q, a dilute calico. Her whiskers were normal, but her coat exhibited a bit of a kink at the end of each hair shaft. Her stomach showed even more curl. She had been caught in a trap and lost a foot as a result. At 7 months Curly-Q gave birth to a litter of six kittens, amongst them a calico kitten who exhibited an even more dramatic coat. All the other kittens were normal. The little kitten was homed, but was returned not much later because she cried too much, wanted too much attention and was too naughty for her new owners. Kitty knew of Jeri Newman, a Persian breeder who didn't live that far away and who had some knowledge of genetics. The unusual kitten was named Miss DePesto, after a curly haired character in the TV series Moonlighting played by Allyce Beasley. In 1987 Kitty phoned Jeri to explain to her about the auspicious find. Jeri described her later as the worst looking Devon Rex with a Chatreaux body. Jeri decided to use Persian, British Shorthair, Exotic and American Shorthairs as outcrosses. Firstly probably because they were more easily accessible, being a Persian breeder herself, but also because she wanted a very different look unlike any of the current Rex breeds: Devon Rex, Cornish Rex, or LaPerm. 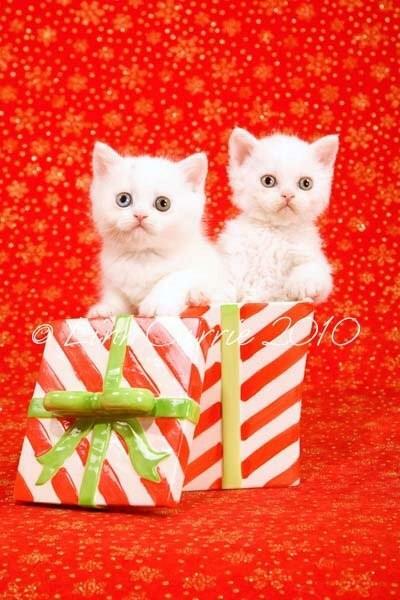 American Shorthairs are no longer used as outcrosses. At 14 months old Jeri bred "Pest" as she was affectionately known to her black Persian male, Ch Photo Finish of Deekay. On the 4th July 1988 Pest had six babies, of which three were curly, proving that it was a dominant gene. One of the kittens was a black bicolour male, Noface Oscar Kowalski who was instrumental in furthering the breed and can be found in many Selkirk Rex pedigrees today. Jeri did not want to name the new breed the American Rex as the Cornish and Devon Rexes were named after their areas of origin. Instead she honoured her stepfather by calling the new breed after his family name. Jeri also told people that the breed was named after the Selkirk Mountains about 75 miles from Miss DePesto's birth place. The Selkirk Creek also lies approximately 20 miles from the point of origin. The Selkirk Rex attended their first show in Salt Lake City, Utah in January 1990 were they were a huge success. CFA all breeds judge, Kim Kilborn encouraged Jeri to have the breed recognised. 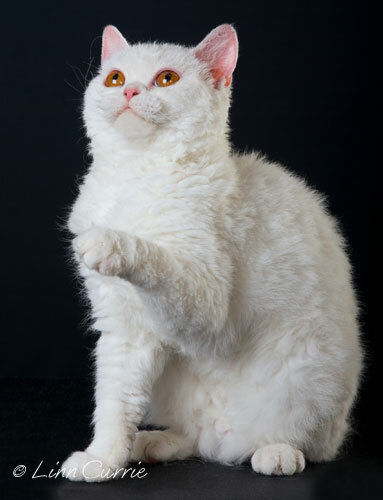 CFA accepted the Selkirk Rex in February 1992, by which time TICA and ACFA had already accepted them. 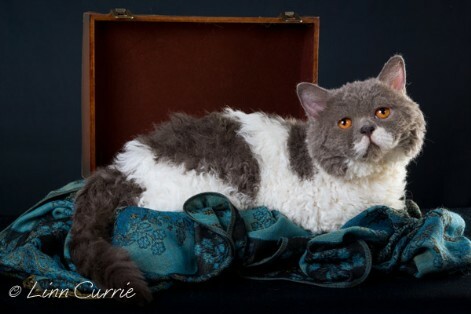 To date, no breed has achieved recognition as quickly in so many worldwide registers as the Selkirk Rex.